What Opportunities You Can En-cash After B.Sc. in Food! B. Sc. in Food is an undergraduate Food Technology program of 3 years. Food Technology is the study of the application of food science in packaging, processing, preservation, selection, distribution, and a safe use of nutritious & wholesome foods. The subjects studied under food technology courses are – Food Microbiology, Packaging Technology, Dairy Technology, and Food Chemistry. Food Science and Technology is a vast field that covers both, fresh and packaged both. It offers you to learn how to produce food that lasts longer using disciples including engineering, chemistry, nutrition, microbiology, and so forth. Think of eating your favourite but seasonal food throughout the year? Yes, that is what one of the perks of this degree course. The responsibility of a food inspector is to monitor food, distributors, manufacturers, and processors to ensure the safety and hygiene regulations. They report to the higher authority about the violations that could lead to food contamination with bacteria or adulterants. Also, their job may include examining animals and their remains and inspecting food imports for mislabelling. In cooperation with the higher authority, they ensure if the food is appropriate for human consumption or not. 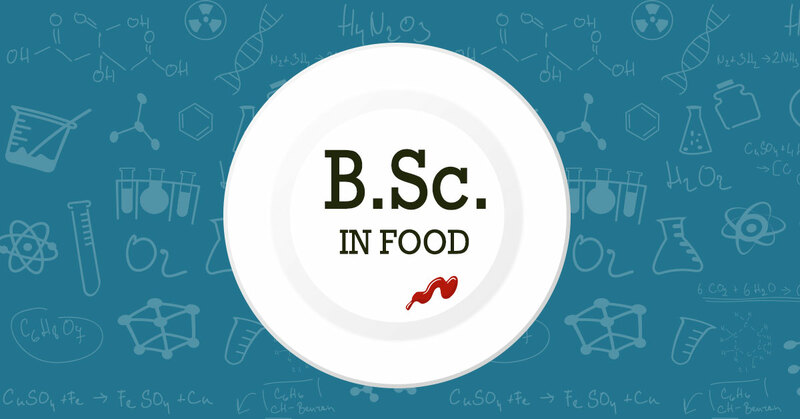 People, who are curious enough to know about the microbiological, chemical, and physical characteristics of food and its ingredients, this is the perfect field of work. Food scientists ensure food safety for the consumers. Also, they test the types of yeasts, bacteria, moulds that may or may not be harmful. Hence, they inspect and set the safety measures for safe consumption and quality. In fact, they explore new methods for alternative manufacturing and also produce new food products. Food has carbon containing compounds in it. An organic chemist examines the properties and the structure of those carbon containing compounds in the food. They study the molecules that contain carbon and characterise them to synthesise and find their applications through examination and research. Food processing operators are involved in various routine tasks related to the manufacturing and processing of food and beverages. They operate machines and equipment to get their work achieved. The activities of the routine might vary depending upon the product. Hence, they might have to monitor a different set of machinery processes from which the product pass through before reaching to the customers. Meanwhile, they examine the development and the quality of food. Biochemists research and concentrate on the compound arrangements and procedures of living beings that influence necessary processes, for example, development and maturing to decide chemical activities or actions and consequences for living beings. For example, they examine the activity of food, drugs, or different substances on the body of living beings and their effects on the functions and tissues. The basic responsibility of food technologists is to ensure the safety and efficient growth of the food products. Also, they modify existing food and their processing. They have to get the ideas for new recipes and machinery to produce the modified or new food products on a large scale. Nutritional therapists or dietary advisers treat an extensive variety of medical conditions by evaluating patients’ necessities for food, vitamins and minerals while taking general well-being, prosperity and way of life into thought to prescribe medicines. If you are passionate about food science and conscious about its processing and the insights, the field is for you. In fact, it has a large set of options to offer regarding studies as well as career. You just have to pick the specialisation that suits you! Foodies with scientific mind, here is your way to move ahead.